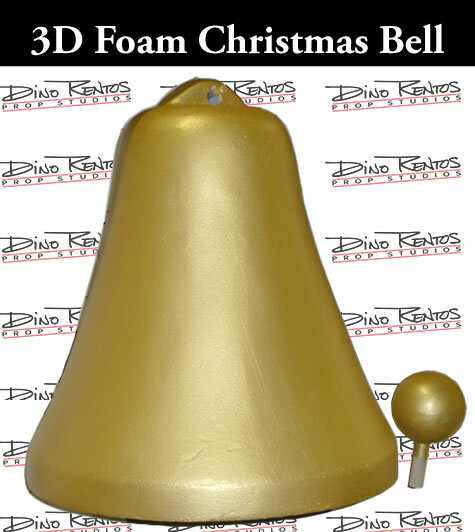 Christmas Bell 3D Foam Prop - Dino Rentos Studios, INC. This full 3D Christmas bell is a wonderfull decoration to add to your holiday display! Painted the color of your choice. Select size and color. Bells come as painted foam, which is good for indoor or temporary use. Get your bell plastic coated for long-term durability and outdoor use. 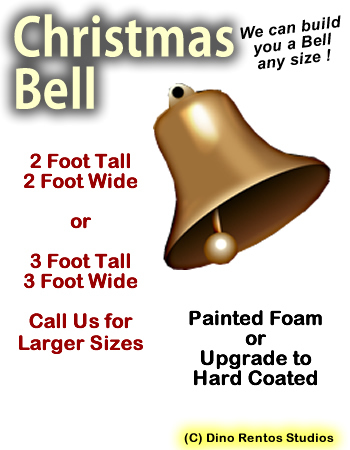 NOTE: 3 & 4 FT Bell MUST ship freight. Please call for freight estimate.